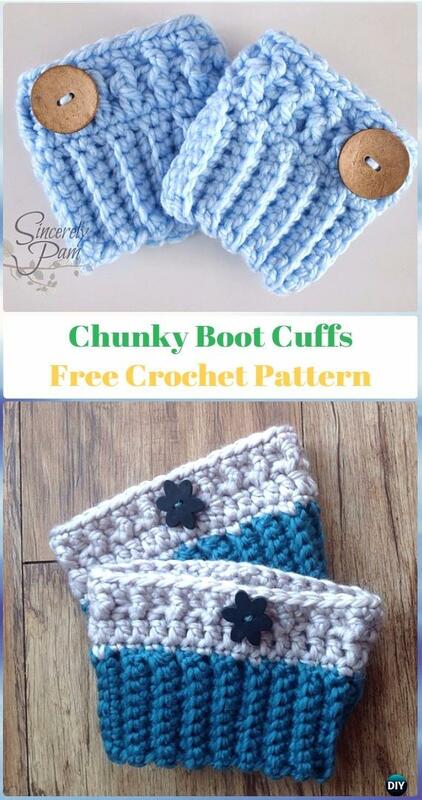 A list of Crochet Boot Cuffs Free Patterns. It’s almost boots season again, and boot cuffs can be another essential wardrobe staple for ladies. Today our Crochet Channel is going to share a big collection of crochet boot cuffs to make your footwear more comfortable and chic. There are various stitches and designs that can peek out just above the top of your boots, all of them are easy to crochet with little yarn and less efforts and stretchy enough to fit your actual needs. Scroll down and see what you can make to make you trendy in style.